As fun is a personal matter and experiencing good times depends on the taste and interests of each individual, one cannot make general suggestions. 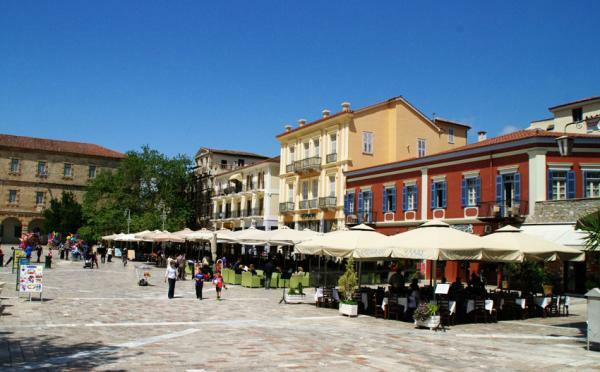 The only certainty is that you will definitely find what you want in Nafplio. The city is suitable for every age group. It is a vibrant city that offers many different options for entertainment. You should wander the cobblestone streets of the old town with its colorful flowered balconies. There are countless shops selling fine art and gift items, antiques, jewelry, musical instruments, Karagiozi dolls, traditional sweets and much more, which are all of high quality and beauty. 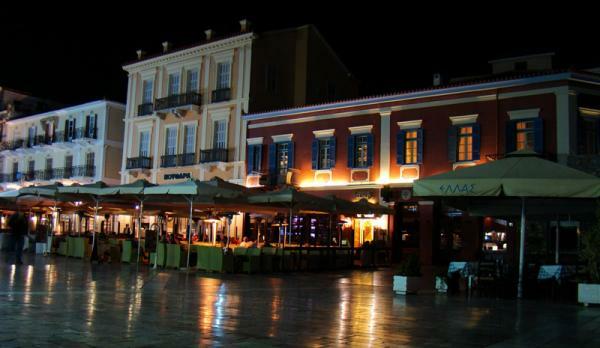 You can sip your coffee or eat your sweet in one of the pastry shops in Syntagma Square and at the waterfront. You will find people of all ages at the Plateia, especially children playing freely as no cars are allowed. If you want to enjoy a pleasant meal, you can choose one of the many picturesque little taverns in the narrow streets of the old town, or go to the harbor where you will find many restaurants with a variety of tasty food to choose from. Also, for those of you who are seeking an exciting nightlife, you are definitely in the right place. You will spend unforgettable nights in the clubs with live music, or enjoy a drink in one of the bars of the city or the harbor overlooking the illuminated Bourtzi.